Good location, good service. Parking was available but on payment. Great location...friendly staff that went out of their way. Good breakfast! Where to find Nahsholim hotels near an airport? Where can I find hotels in Nahsholim that are near tourist attractions? For those travelers who are chasing hotels near Nahsholim, there are a number of options. 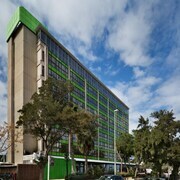 Nahsholim has 6 hotels and apartments, all within easy driving distance of the heart of town. 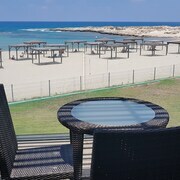 The Kibbutz Dor Holiday Village is a much-loved hotel option because it's located so conveniently to Nahsholim's center. 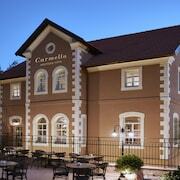 The Carmel Forest Spa Resort is 13 kilometres (8 miles) from the central part of Nahsholim. Alternatively, the Dan Caesarea is positioned 13 kilometres (8 miles) away. 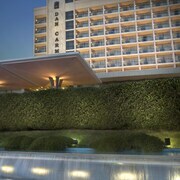 Another option is to check out the rates and amenities at the The Dan Carmel Hotel or the Leonardo Plaza Haifa. Looking for more to do? Why not spend some time discovering Mane Katz Museum and Haifa Educational Zoo, which you'll find in Carmel Center, 20 kilometres (14 miles) to the north of Nahsholim. 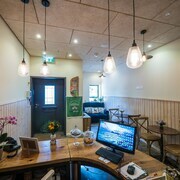 If you'd like to spend a night or two in Carmel Center, be sure to check out the Dan Panorama Haifa and Templers Boutique Hotel. 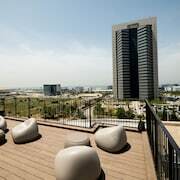 25 kilometres (15 miles) to the north of Nahsholim, you may also choose to stay at Downtown Haifa, home to the Villa Carmel Boutique Hotel and Crowne Plaza Haifa. The Chagall Artists House and Shkolnik Art are popular places to see while in Downtown Haifa. Just because you're traveling, doesn't mean you can't enjoy your love of sporting events. Teddy Stadium can be found 100 kilometres (62 miles) to the south of Nahsholim. 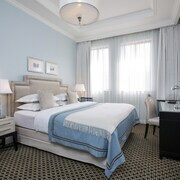 Book accommodation nearby to the action at the King David Jerusalem or the The David Citadel Hotel. Haifa Airport is a logical airport, and can be found 25 kilometres (15 miles) from Nahsholim. 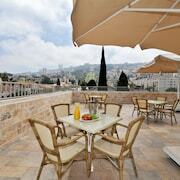 Expedia-listed hotels close to Haifa Airport are Bay Club Hotel - An Atlas Boutique Hotel and Rothschild Mansion. What are the most popular Nahsholim hotels? Are there hotels in other cities near Nahsholim? What other types of accommodations are available in Nahsholim? Explore Nahsholim with Expedia.ca’s Travel Guides to find the best flights, cars, holiday packages and more!